Wedding flowers are kind of a big deal when dreaming up your ideal wedding-scape. If you’re anything like us, you’re picturing fresh buds in your hair, petals at your feet, bouquets in your hands, and blooms pretty much everywhere else you happen to cast your gaze. So, it’s really no surprise that these delicate stems can do some real damage to your budget. Since you know your blooms are going to be an investment, it’s a good idea to get the low-down on your wedding flowers. Thus, we have a freshly plucked, floral-centric conversation coming your way; wise words and an inside scoop from Caroline Lahti, the creative genius behind New York’s Florabrook . Before we get started, some background info on Lahti: Caroline "Flora" Lahti grew up is a New York Native whose love of blooms has been with her her whole life. As a teenager her first job was working as a florist after school. Her passion for flowers followed her through her post-secondary education and after graduating it took only two days of working in an office for her to return to her roots. She’s been in the flower business ever since and has learned a thing or two along the way. To get things started, we wanted to know about the factors that really weigh into determining wedding flower costs. Lahti broke it down for us, explaining that, “some of the smallest flowers are the most expensive and vise versa. A flower that seems to be a real go-to for brides is ranunculus. These guys are SO pricey, have SUCH a short life and are SO tiny. 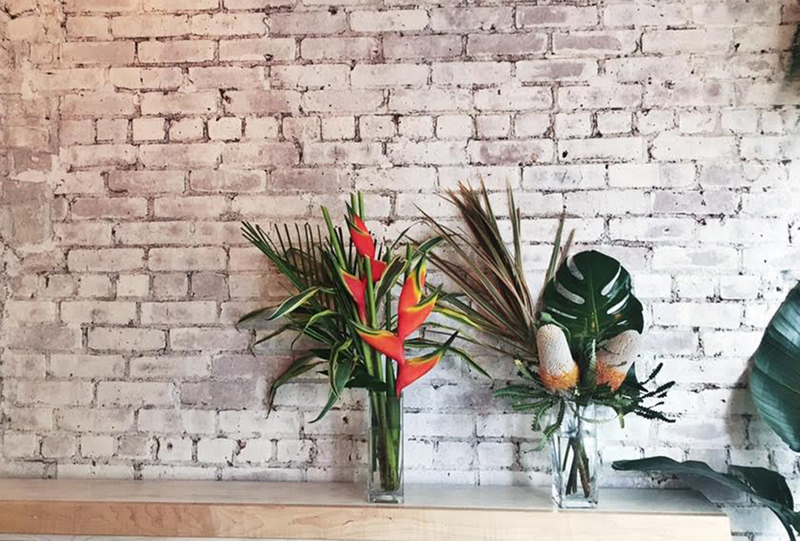 There are plenty of flowers that are double the size and half the price.” Noted. 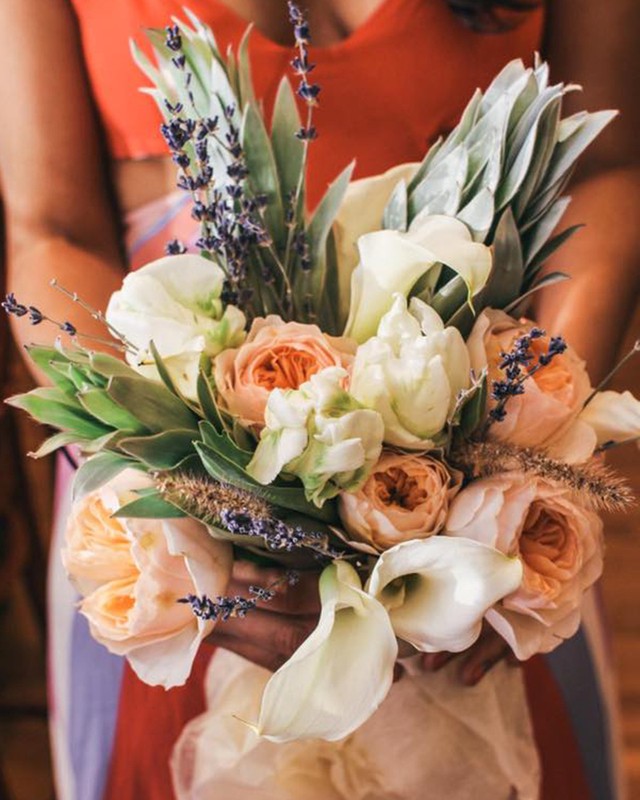 Although we find it hard to discriminate between blooms, the hard truth is that not all species are created equal (well, at least not when you’re perusing your spreadsheet of wedding flower costs). “You could make two centerpieces that are the same size and one costs $50 while the other costs $400. Costs of different types of flowers vary greatly. It always seems that people love the expensive ones, surprise surprise,” says Lahti. Lastly, Lahti leaves us with some color-coded advice. When it comes to wedding flower costs, think green to save green. “Greens are generally cheaper, so if you like that look, including a lot of greens will give you volume.” So, even though money doesn’t grow on trees, fresh greens can save you some real cash. Finally, some floral arithmetic we can fancy!